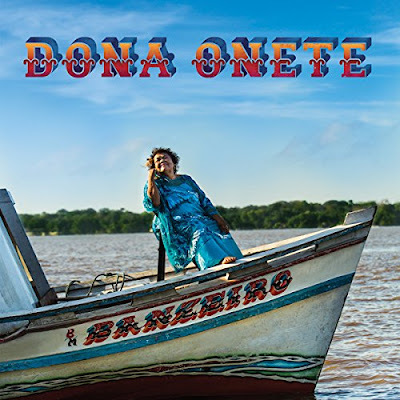 Dona Onete is the stage name of singer Ionete da Silveira Gama, who didn’t really need a stage name until 2014, when she released her first album at the young age of 73. Onete, from Para state in Brazil’s north, near Belem at the mouth of the Amazon River, plays a regional style of music called carimbo, a synthesis of African, Amerindian and European influences that’s probably best known as the source of the lambada dance craze. 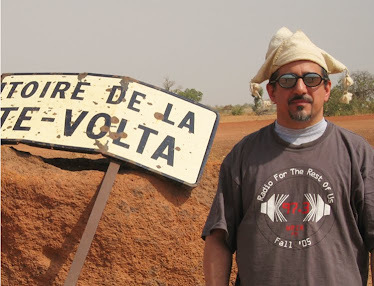 There are strong parallels with two other northern Brazilian genres: like siria it’s brass-driven (the sax player almost sounds like Boots “Yakety Sax” Randolph or a polka band refugee) and it comes directly from quilombola (escaped African slave) culture; like forro it’s rural dance music, the local equivalent of Texas two-step or zydeco. The last thing you’ll think when you hear her sing is that she’s a nostalgia act – the energy here is palpable, bursting out of your speakers. The next-to-last thing you’ll think is “this is Brazilian music” – it truly has next to nothing in common with samba, bossa nova, MPB, the southern styles most famous outside the country. Great party music that will put pep in your step, no matter your age.